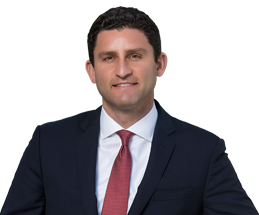 Jesse Gabriel was first elected to the California State Assembly in June 2018 and was re-elected in November 2018. He represents the 45th Assembly District, which includes the communities of Bell Canyon, Calabasas, Canoga Park, Chatsworth, Encino, Hidden Hills, Northridge, Reseda, Sherman Oaks, Tarzana, Warner Center, West Hills, Winnetka, and Woodland Hills. Gabriel currently serves on the Appropriations Committee as well as the Committees on Higher Education, Housing and Community Development, Banking and Finance, and Privacy and Consumer Protection. Shortly after assuming office, Gabriel was appointed by Assembly Speaker Anthony Rendon to serve in the Assembly Leadership as Assistant Majority Whip. In this role, Gabriel works with the Speaker and his leadership team to advance the legislative priorities of the Democratic Caucus. He was also elected to serve as Vice Chair of the California Legislative Jewish Caucus. Before joining the Legislature, Gabriel worked as a constitutional rights and general litigation attorney, where he helped resolve complex business disputes and represented clients before the United States Supreme Court. In 2017, Gabriel sued the Trump Administration in two landmark lawsuits to protect young people—known as Dreamers—who were promised protection under the Deferred Action for Childhood Arrivals (DACA) program. As of April 2019, more than 373,000 Dreamers have been able to renew their DACA status as a result of this litigation. Gabriel also assisted Holocaust survivors, victims of domestic abuse, and communities facing hate-motivated violence. Prior to starting his law practice, Gabriel served as Counsel to former United States Senator Evan Bayh, where he worked on numerous legal and policy issues, including hate crimes prevention, gender pay equity, and anti-discrimination legislation. Gabriel also drafted key provisions incorporated into the Iran sanctions legislation that was signed into law by President Obama in 2010. Gabriel lives in the San Fernando Valley with his wife Rachel Rosner, an affordable housing attorney, and their sons Ethan and Joshua. He is a graduate of UC Berkeley and Harvard Law School.